lanjaron cortijo countryhouse for sale Las Alpujarras - Granada - Andalucía- Spain - - HomesEspana Orgiva Property Real Estate Agent Inmobiliaria Since 2003 UA-39695354-1 HomesEspana Orgiva Real Estate Agent Inmobiliaria In Orgiva and lanjaron for Properties In The Alpujarras-Granada-Andalucia-Spain. 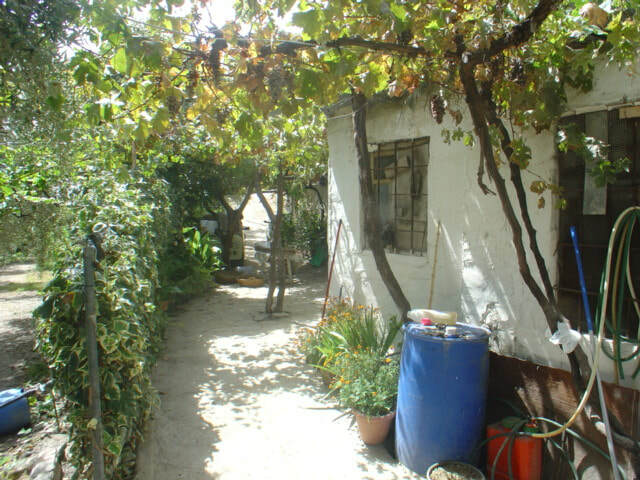 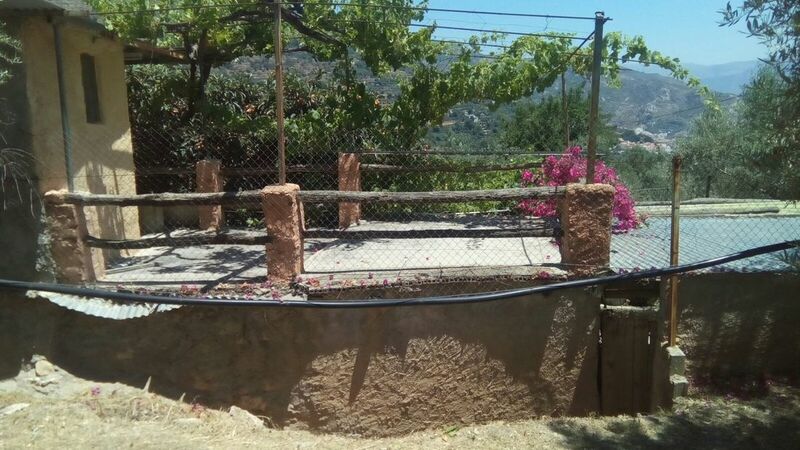 A two storey cortijo for reform and modernisation, located in a rural area above Lanjarón, with nearly 6,000 m2 of good olive land, with fine views, and irrigation water. 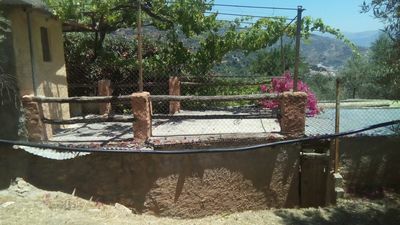 Electricity connectable. 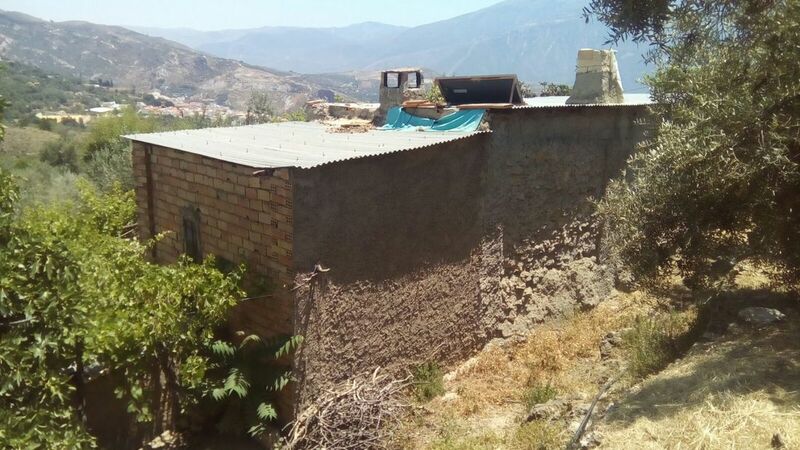 The finca is located above and to the west of Lanjarón, at an altitude of 850m, and reached by 2km of good track. The cortijo, officially a dwelling, has 84m2 built on a 62 m2 footprint. 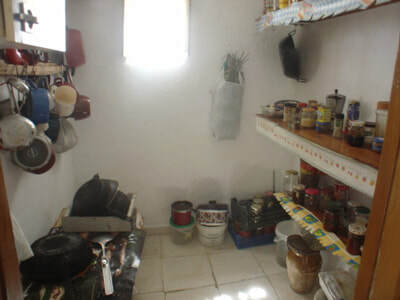 The lower level consists of a storeroom/bodega, whilst of the upper level about half is taken up by a large living room-dining room-kitchen, with fireplace, a bedroom at one end and a pantry at the other. There is, at the lower level, an outside w.c. 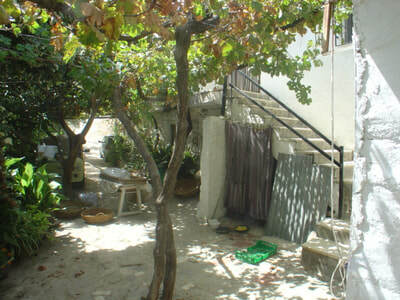 There is also a nice roof terrace. 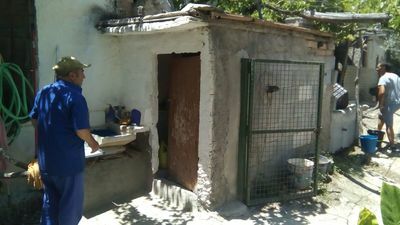 The building is habitable but would benefit greatly from reform and modernisation ( for instance, the roof is of corrugated asbestos). 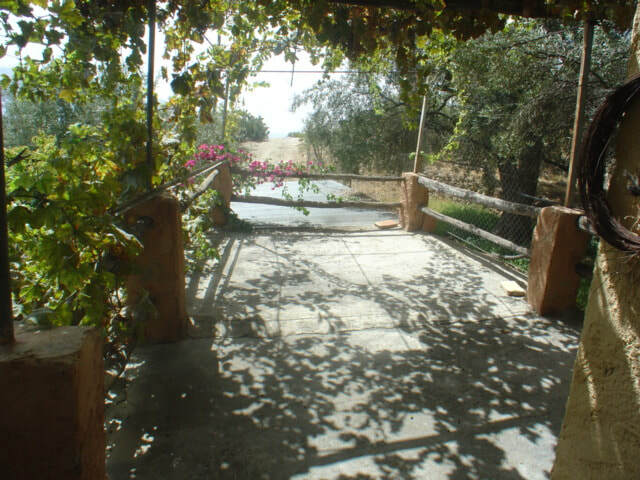 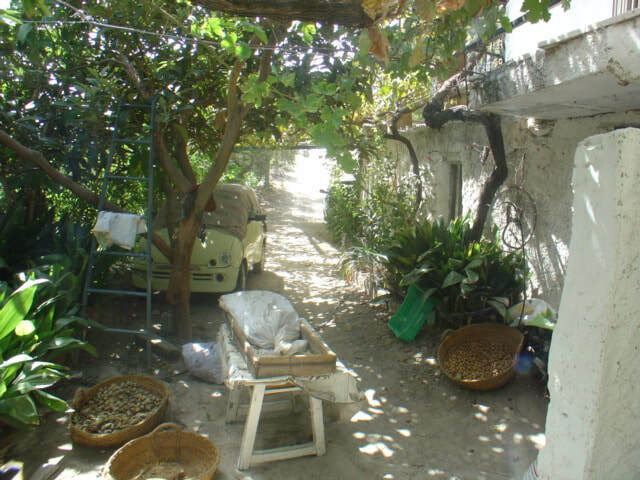 In front of the cortijo is a terrace with shading vine. 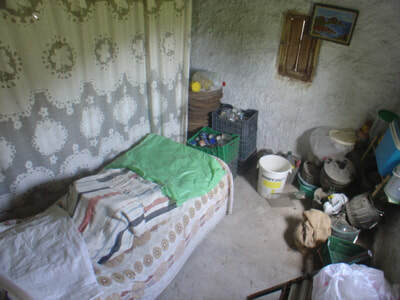 The finca is too far from the town to have municipal water connected, but there is abundant irrigation water for agricultural and domestic use. Connection to mains electricity, however, is possible.... there is a power line and transformer close by, and the neighbours have electricity connected. 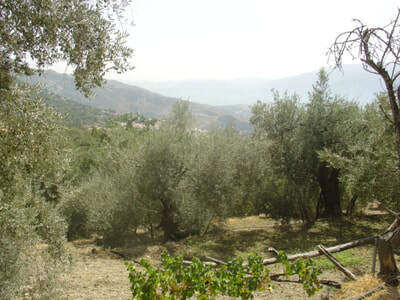 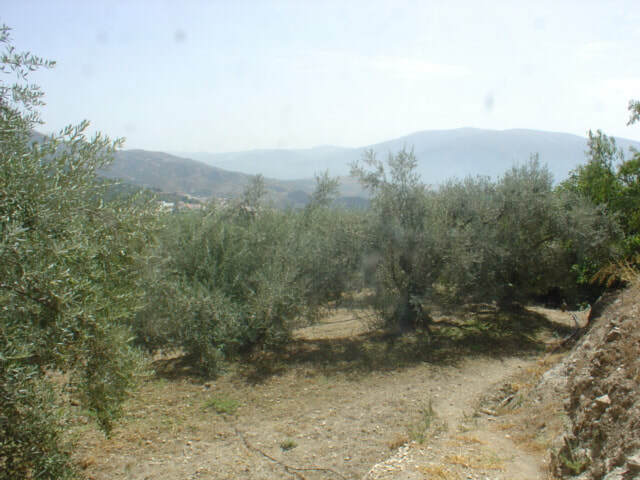 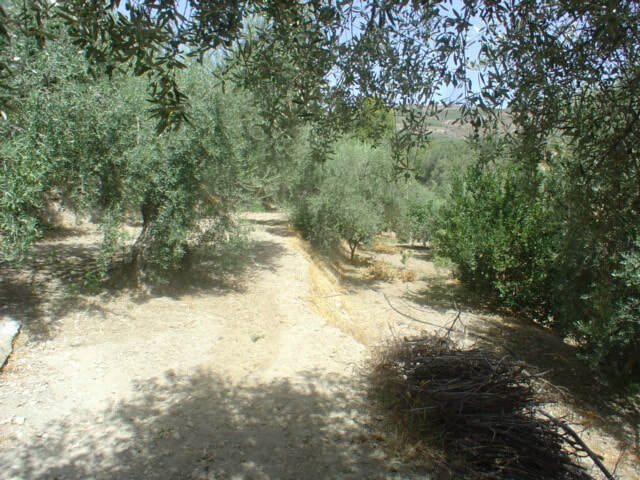 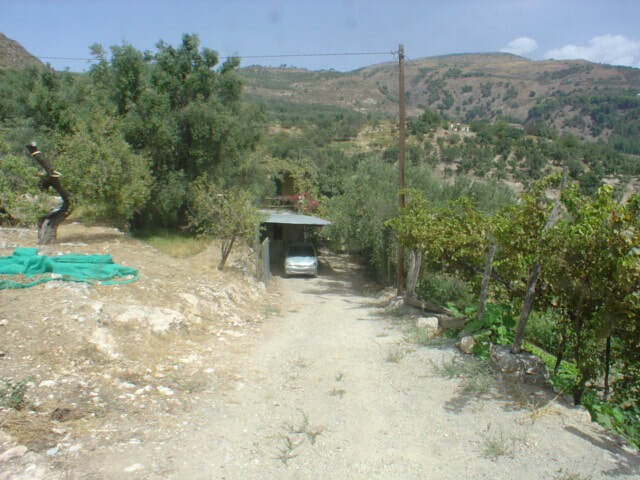 The land is good terraced hillside olive land ( 5,000 m2) with about 80 olive trees, and with a small part (800 m2)dry almond land. 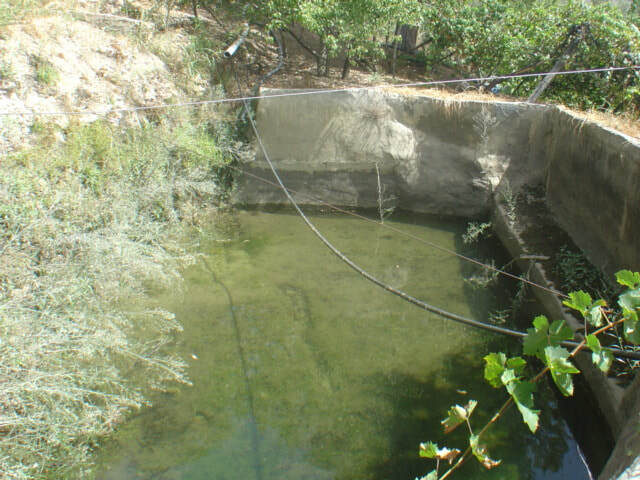 There is abundant irrigation water, stored in an alberca ( water storeage deposit) at the upper end of the land. South facing, the finca has fine views of the Sierra Lujar and the Guadalfeo valley, and the Mediterranean in the far distance. 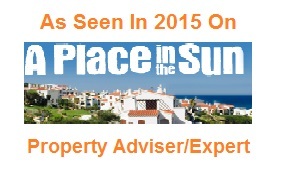 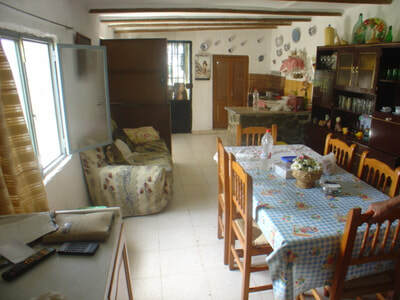 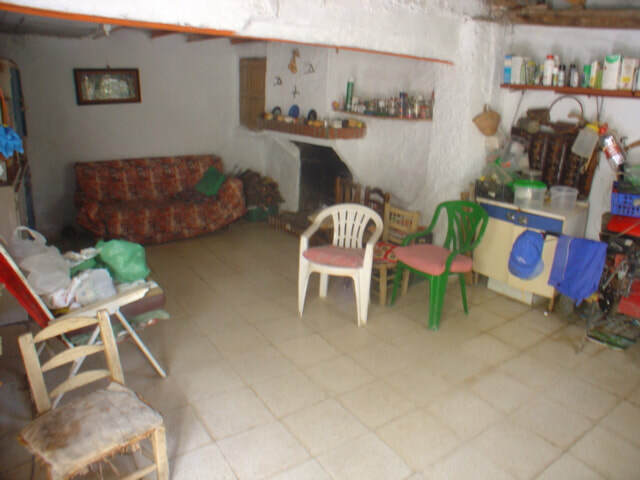 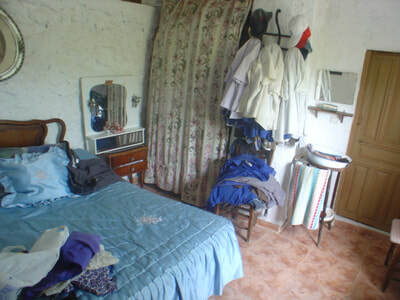 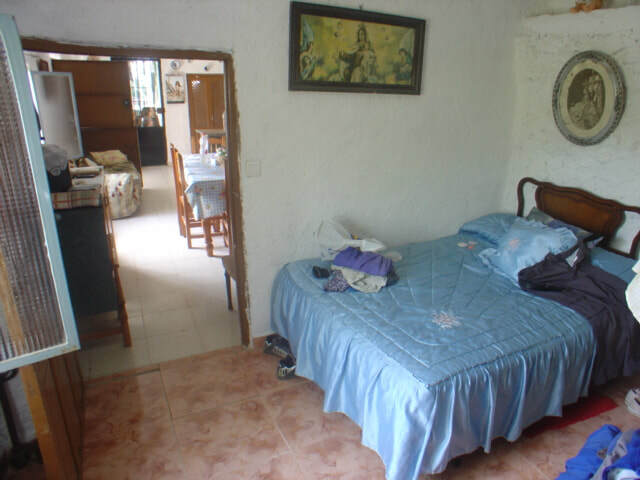 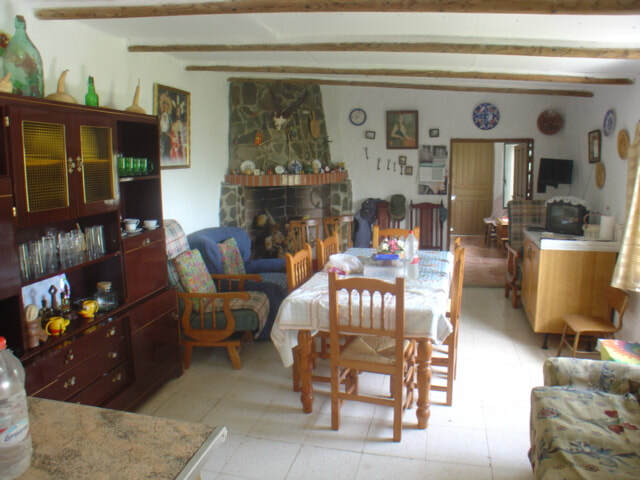 For someone prepared to take on the job of modernising the building this finca is an attaractive opportunity.